Using QuickBooks Online, you can print checks at anytime from your QuickBooks account. 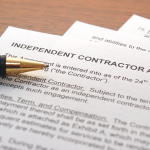 This makes it easy and quick to pay vendors, employees, and general expenses. Click here to get 15% off your checks with QuickBooks. 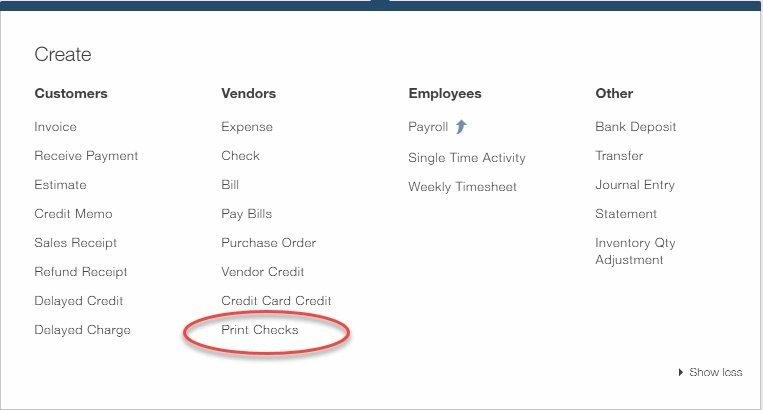 In order to print checks directly from QuickBooks Online, you will first need to order blank checks. You cannot print checks on regular paper because it does not have the security features required by financial institutions to prevent fraud. Next, we’ll tell you how much it costs to buy checks from each of these places. The lowest you can pay for QuickBooks checks is about $64 through Amazon for a set of 500. This comes out to about $0.13 per check. On Intuit’s official website, it will cost you $151 for a set of 500 basic checks, or $231 for “Secure Plus” checks. If you only write a handful of checks a month then you should purchase the business starter kit. 250 checks will certainly last you awhile plus it comes with other items that you could use like deposit tickets and an endorsement stamp. In addition, your company logo is included in the price. 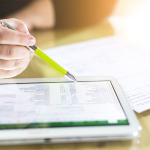 If you have a QuickBooks Online Simple Start or Essentials account, then the only type of check you can print from QuickBooks are voucher checks. 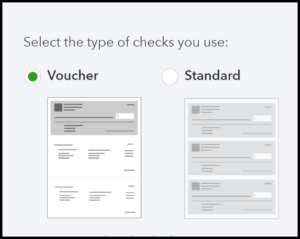 Below is a snapshot of a voucher check. It has the check at the top and two vouchers below that. One voucher is mailed with the check to the vendor, and the other voucher is kept on file with your accounting records. 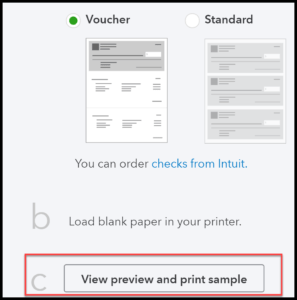 If you have a QuickBooks Online Plus account, then you can print either voucher checks (above) or standard checks (see image below). Standard checks allow you to save time and money by printing 3 checks per page, which allows you to pay 3 vendors at one time. This check style does not include a voucher to keep on file. Wallet size checks are not compatible with QuickBooks Online. Wallet size checks are only compatible with QuickBooks Desktop. Security features: There are a number of security options to choose from that may increase your cost. All check stock includes the basic security features like printed on chemically reactive paper, a colored background, and with toner adhesion to protect from forgery. However, there are a number of additional security features available at an additional cost. Click here for more information. Color: There are typically 5-6 colors to choose from. Single/Multi-part checks: Checks may come with one or two carbonless copies to keep on file. Company logo: You can upload your company logo and have it printed on your check. This will cost an additional $25 or more. 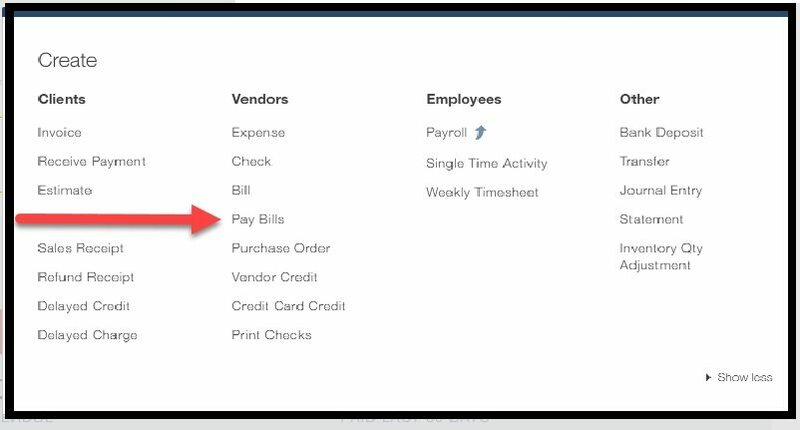 A check template will open up and you will enter all of the required information like payee, amount, memo etc. If you print the check now, the status of the check will be marked as “printed” in QuickBooks. If you decide to print the check later, the status will be marked as “to print.” We will cover the step-by-step process of printing checks later on in this article. If you print the check now, the status of the check will be marked as “printed” in QuickBooks. If you decide to print the check later the status of the check will be marked as “to print”. There is no special printer required to print checks from QuickBooks. You can print QuickBooks checks using an ordinary Laser or Inkjet printer. Both check types we have discussed (Voucher/Standard) can be printed using a Laser or Inkjet printer. Step 3: Load blank paper into your printer for a test run. Step 6: Take the sample printout and put one of your blank QuickBooks Business checks on top of it. The sample numbers on the printout should align with the amount boxes on your checks. If it does not align, no problem. It usually takes a couple of tries to get it perfectly aligned. You can go back and repeat this setup as many times as you need to. Step 8: At the bottom of the setup page, you can indicate that the fields did not line up properly by clicking on the button that says “No, continue set-up” as indicated below. If the fields did line up properly then you would of course select “Yes, I’m finished with setup”. Step 11: If the amount is still not lined up properly, then you will need to adjust the alignment. You can do this by dragging and dropping the amount grid to match the spot where the misaligned numbers are printing on your test checks. 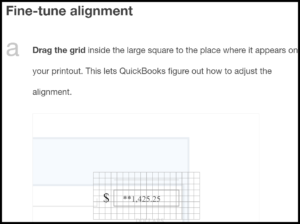 Be sure to drag and drop the grid where the amount is actually appearing on your test printouts. Step 12: Click preview and print sample to view and print another test. You will need to repeat these steps until you are satisfied that the amount is aligned. 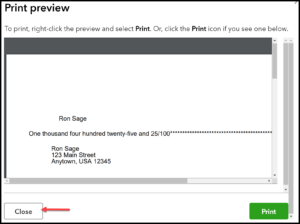 Step 15: When you have finished printing your checks, click the X at the top right of the print preview screen to exit. 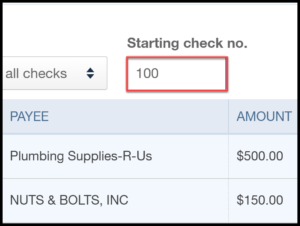 Step 16: In the next screen, QuickBooks will ask you whether or not your checks printed correctly. If they did, then select Yes, they all printed correctly and click Done. 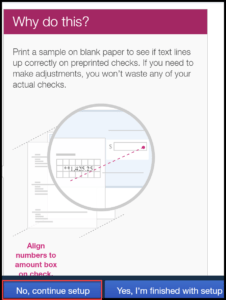 If your checks did not print correctly, then select one of the other two options that apply, and follow the on-screen instructions to reprint. Click here to watch a video tutorial that will walk you through this step by step process. Note: This tutorial is only for printing checks to pay vendors. If you need to print checks to pay employees, this is done through QuickBooks payroll which is beyond the scope of this article. Reconciliation is the process of making sure that your QuickBooks account matches your bank statements. 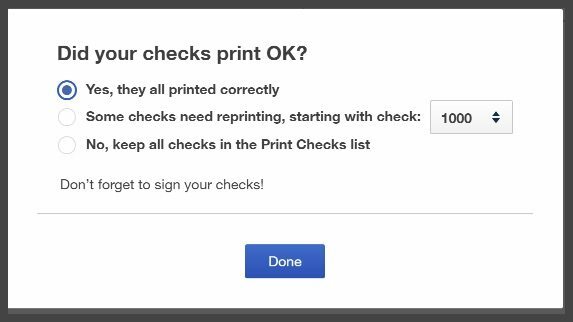 One of the benefits of printing checks directly from your QuickBooks file instead of manually writing checks is that you don’t have to enter the check into QuickBooks when it’s time to reconcile. For step by step instructions on how to reconcile your checking account in QuickBooks, click here. QuickBooks checks printing can save you time and money. 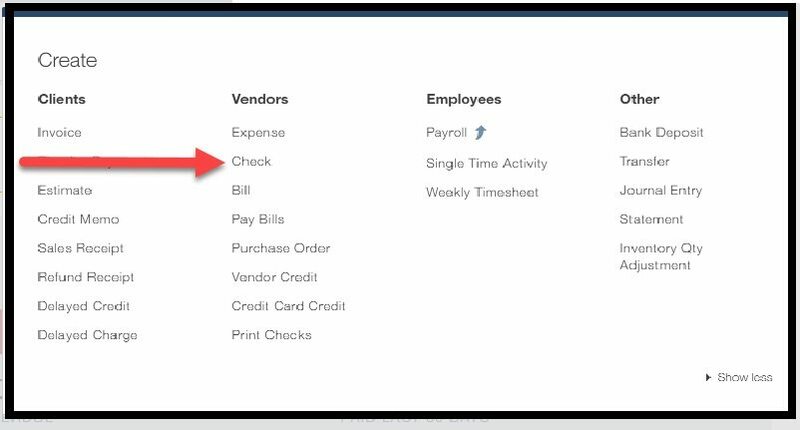 You should now have a better understanding of what kind of checks are compatible with your QuickBooks Online subscription, where to buy check stock, how much it will cost you, how to print vendor checks, and finally the impact this will have on your accounting records. Check out our free QuickBooks Course to learn more about how to setup and run your small business using QuickBooks! I know you said we don’t need a special printer, but is that for blank check stock or one where the bank info is already printed? Just trying to figure out what we need. Thank you so much. Very helpful article. 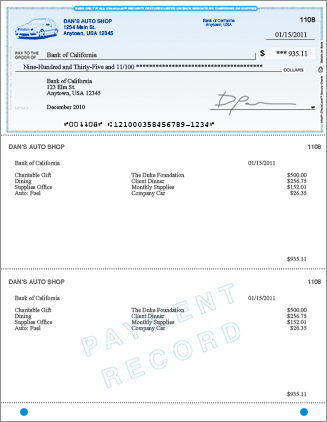 We recently ordered business checks through Deluxe, and will start printing our checks using QuickBooks. My question is do you have any information on good personal printers that can be used to print them on? There are so many choices available it’s hard to discern, was wondering if you have a preference? Thanks. Hey Talitha! So glad you enjoyed our QuickBooks Checks article. Frankly, you can use just about any kind of laserjet printer. I personally have used Canon printers and my latest printer is a HP Photosmart 7520 that I picked up at Costco a few years ago. !The key is to just make sure you follow the steps to align the checks. It’s a one-time setup and then you should be good to go. Interesting article. But there is some alternative too. quickbook checks is expensive. Thanks for weighing in. I would agree with you that purchasing checks directly from Intuit or even your bank can be pricey. However, as we mentioned in the article you can also purchase checks directly from membership stores like Costco. As a matter of fact, I purchased a box of 500 checks for under $50.00 from Costco. While you do have to purchase a membership, those fees run between $35-$50 per year depending on the type of membership that you purchase. They also offer other great services for small businesses like insurance and merchant services that you can save on throughout the year. I want to say that this is the most clear and understandable explanation on where, how to order and how to print with Quickbooks that I have found anywhere and I have been researching this for a while. I just ordered the security business check from COSTCO 1000 for about $135 I have an executive membership and the difference between 500 ($108) and 1000 was about $20. Sales tax was a little over $3 and shipping was free. I don’t write too many checks so unless I change banks they will probably last forever!